The Web Designers are creative people who require jotting down their ideas in a platform. Now, for the wireframing purpose of the designs, PowerPoint can play a great role. Though there are plenty of tools available for creating the wireframes, the ppt templates can provide you with a clear vision of your ideas. 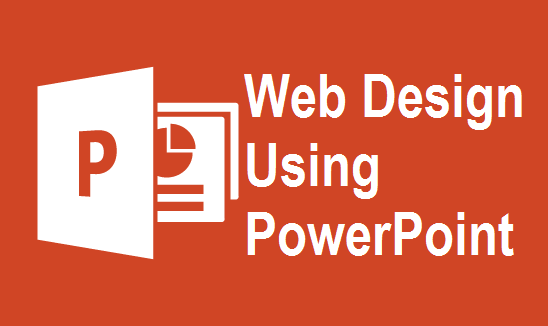 Now, let us go through some of the Benefits of Using PowerPoint for Website Designing. Arrange The Layer Support: The complex Web Designs and their wireframes can easily be simplified through the Powerpoint presentation. The grouping functionalities help to categorize your plans in different shapes. You can select the groups from the context menu or can simply use CTRL+G for grouping and CTRL+SHIFT+G to ungroup. If you want a hierarchical view of all the present slides, you can just choose the selection pane from the drawing section, which remains hidden by the other shapes. Import/Export Functionality: The import/export formats of the wireframes can be easily supported by the PowerPoint. It is compatible with the bitmap formats like PNG or JPEG, vector images of WMF or EMF and also the EPS formats. Add Interactivity: The interactivity can easily be added to the wireframes with the help of the PowerPoint. Your web design story may be dynamic, linear or non linear in nature. But you can configure the actions irrespective of the type of the wireframes. When the PowerPoint remains in the presentation mode, macros can be created with the help of VBA. The VBA or the Visual Basic Applications editor can also be used for writing the codes without much effort with the help of the PowerPoint. Master Use: The proper use of the slide master can help you to create more presentations in the future by using the same templates. After the layout creation is done, you can re-apply them by right clicking the slides and select the master slide from the menu of the layout. Integration with Other Applications: The PowerPoint can easily integrate with the MS Office applications. You can just add by dragging and dropping the word documents in the slides for the convenience of your designs. Collaborate and Share: The PowerPoint can help in collaborating and sharing the designs. When you have completed your wireframe, you can share them with the SkyDrive to all your clients and the co workers. Wireframe Stencils: The wireframe stencils offered by the PowerPoint can also be helpful in creating your wireframes easily. The stencils can be downloaded with a demo version and a trial can be performed with the tools. The application elements like tables, tabs, text boxes can help in categorizing your stencils. Though there are various benefits, you will also notice some disadvantages of using the PowerPoint in wireframing your web design. Motion Sickness: Sometimes, if you are using more transitions and effects in your slides, the presentation may become little dizzy. Learning Curve: While using the PowerPoint for your designs, your learning curve will never end. It may take a huge amount of time to know all the functionalities and then training all your subordinates accordingly. Presenting the templates in front of your target audience can also be very tough if you are not aware of the learning curves. So, wireframing can become much easier when you are using PowerPoint for the web designing purpose. Though there are few drawbacks, you can rely on this platform for organizing all your ideas in the same place. The platform is also compatible with other applications and can be used in a smooth way. So, if you want to arrange your web design plan in an organized manner, you can definitely use PowerPoint’s ppt templates feature.